Every building project starts with a mental image that improves upon the design. Whether they were building from the ground up or changing their space to fit their lives, HomeMatters clients brought those mental pictures to life. We love to periodically remember the moments of transformation where clients allowed us to take their dreams and make them real. We are proud of what we’ve accomplished together, and we thank these clients for allowing us all to peek back into their spaces: old and new. Enjoy your time in our Gallery of photos. Homematters created an extensive renovations in a St. Louis west county home, including a kitchen and family room, creating a much fuller and fulfilling space for the family. Homematters also created a stunning wine room/cellar to host wine parties and tastings. Why move if you can improve? 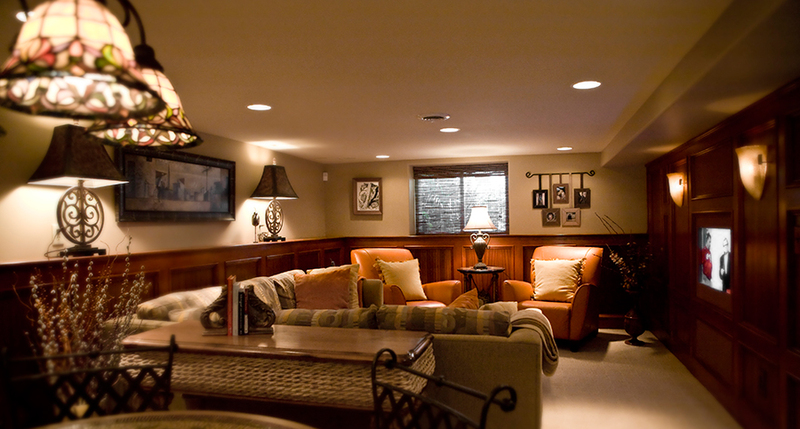 We took an ordinary basement and made it into a beautiful family room, home office and bathroom, extending the functional use of this family's living area. existing master bedroom, creating a nursery and leading to the new master suite complete with whirlpool, separate shower, and walk-in closet.